Having left Greece in her youth, the author of “Feeding the Doves” returns to the country of her birth through a collection of stories that lie at the heart of Greek identity. Greece has been in the headlines for a very long time. Recently, the headlines have been gloomy and negative, the country facing some of its most difficult years. Against this background, “Feeding the Doves” explores recurrent elements of the Greek psyche, tracing them back to challenges posed by the country’s history, culture, and environment. The widow, the old loner, the refugee, the immigrant, the young, the writer, the expatriate, tell us their stories, touching upon themes at the heart of Greek being: Love and loss, civil war, immigration and diaspora, emigration, poverty, religion, history and catastrophe, and above all, the will to survive. “…references to Greece and its geography and culture, ancient and modern, pepper Pieride’s stories. It’s a wonderful setting for her flash fiction, and I found her writing a refreshing and unique collection. “These stories manage to show universal themes entwined with the Greek psyche to give a new perspective on the Greece in the media’s headlines. Read the whole article here. A very interesting take on my book. “From a symbol of the divine (“A Life-Changing Story), to an object of meditation and near-worship in Syntagma Square (as in the title story), to their possible end in a soup kitchen destined to feed hungry children (“Pigeons”), doves’ journey functions as a counterpoint to the human sacrifice and quest for nourishing truths. Several glimpses into silent, sometimes tortured lives, end in haiku. It serves to deepen the reader’s understanding, and add new dimensions to the prose. And it’s a treat, as Pierides is both an archeologist of experiences, and a mistress of haibun. Mia Avramut is a Romanian-born writer, physician, researcher, and poetry editor at Connotation Press. 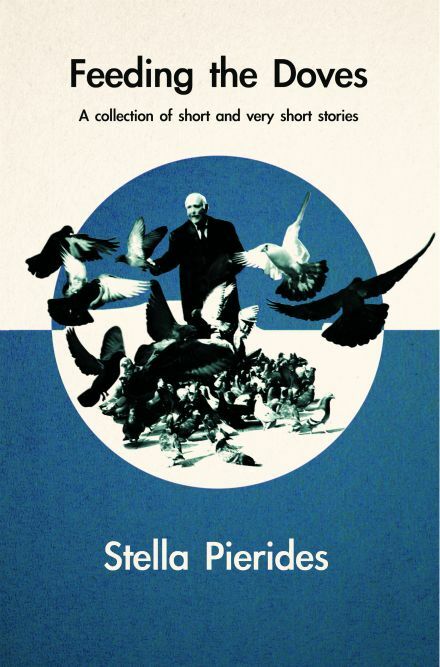 Stella Pierides is a writer and poet born in Athens, Greece. She now divides her time between Neusaess, Germany and London, England. In her heart, she lives somewhere on the Aegean coast. She is married and has two adult daughters. Stella trained as a psychotherapist and worked at a crisis center and in private practice in London, UK for many years. More recently, Stella gained an MA in Literature, with Distinction, from the Open University, UK. For the last few years, she has been focusing on writing prose and poetry. Stella has had work published in numerous print and online journals and anthologies. She has coedited and contributed to Even Paranoids Have Enemies (Routledge, 1998) and Beyond Madness (JKP, 2002). Recent book: In the Garden of Absence (Fruit Dove Press, 2012 – poetry). Available through Amazon.co.uk, Amazon.de and the author. Greece has been in the headlines for a very long time. Since ancient times, her philosophers, historians, mathematicians, shipbuilders, traders, and artisans have been making the news – and, indeed, history. So, amidst the country’s most difficult years in recent times, many people believe that they know Greece and the Greeks. Against this backdrop, the stories – short and very short – collected in “Feeding the Doves” explore recurrent elements of the Greek psyche, tracing them back to challenges posed by the country’s history and environment. The widow, the old loner, the refugee, the immigrant, the writer, the expatriate tell us their stories, touching upon themes at the heart of Greek being, as well as our common humanity: love and loss, war, civil war, immigration and diaspora, emigration, poverty, religion, history, and above all, the will to survive.